Prasad is the CEO of the Kaipa Group in California and works with companies and senior executives in the areas of innovation, leadership development and CEO coaching. He is a Smith Richardson Visiting Fellow at Center for Creative Leadership since June 2010. He is a senior research fellow and a visiting professor at Indian School of Business (ISB) and was the founding Executive Director of the Center for Leadership, Innovation and Change (CLIC) and. and raised multi-year, multi-million dollar funding to initiate two research cells – SBI Cell for Public Leadership and Biocon Cell for Innovation Management in CLIC. 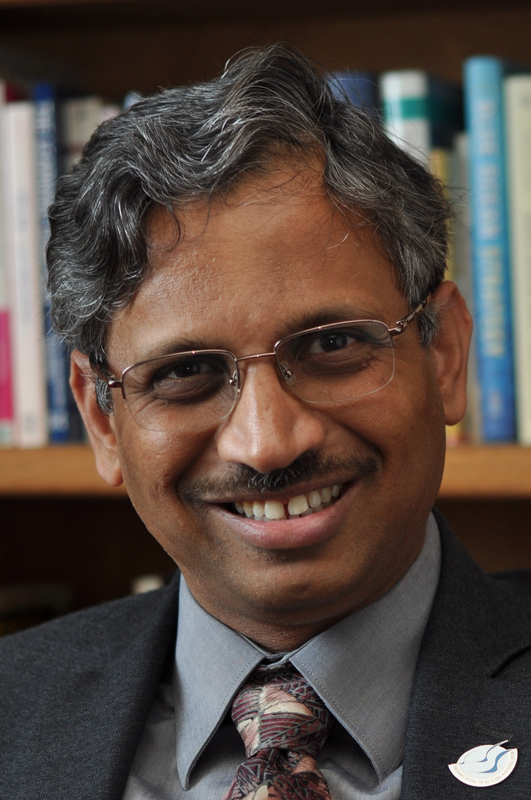 Prasad focuses on transformational leadership, mental models, wisdom leadership, Indian models of innovation and leadership, affordable innovation as core themes for his research. Prasad has been an advisor and coach focusing on innovation and leadership since 1990 for over 110 CEOs, executive team members and board members in Fortune 500 companies. Clients include Disney, Adobe, Oracle, Maxim, Boeing and Johnson & Johnson as well as International/entrepreneurial companies like BAE Systems, State Bank of India, Lunar Design, Aztec, Mastek, Olixir, Scintera Networks, and Polaris. Prasad co-founded the Entrepreneur Institute for TiE (The Indus Entrepreneurs) in 2002 to help entrepreneurs connect their innovative ideas, products and services with effective ways to engage and co-create with others in the ecosystem. Over 13,000 entrepreneurs have gone through TiE Institute programs so far. He is a part-time faculty member at the Saybrook University and works with students in the areas of creativity and innovation, transformational learning and leadership. Prasad is/was on the board of directors/trustees for International Leadership Association, Marico Innovation Foundation, Lead India 2020, Society for Organizational Learning (SoL), Integral Leadership Review, Aankhen, Turning Point Global, Intertec Communications, Hindu University of North America, and Catalyst. The purpose of Prasad’s innovation/leadership coaching is to ignite the genius within individuals. Prasad’s unique competence is in helping his clients find their next significant step and take it. He found that unless he helps clients to examine their signature strengths that have turned into “core incompetence” and kept them stuck, it is difficult to ignite and channel their creativity to come up with innovative decisions, products, and services. He assists clients in becoming effective in managing people as well as oneself (personal mastery), getting reenergized and building new capacities, and exploring more risk taking, innovative, and strategic decisions. Prasad also worked as an educator/consultant with 100+ companies like Maersk, Exxon Mobil, Ford, Sun, Pepsi, Navteq, Sasken, Syngenta, Union Bank, Canara Bank and AT&T in the areas of leadership, change management, innovation and management team development. Cisco and HP have worked with Prasad in developing innovative business models for creating a successful new business and in innovating unique, “brandable” product designs that are consistent with their culture. As a senior manager in Apple, Prasad was asked to create an educational menu for Apple engineers using innovative learning approaches. In 1999, as a research fellow in the Apple University, with a charter to help design ‘a learning processor that augments human intelligence,’ Prasad interviewed high achievers and exceptional people researching how they learn (and ‘unlearn’), create, communicate, relate and lead. Prasad has published an e-book ‘Discontinuous Learning: Igniting Genius Within by Aligning Self, Work, and Family’ (http://www.kaipagroup.com) and many of his writings, blog, and tools are available on his website. He also writes a blog regularly with Navi Radjou, Jaideep Prabhu and Simone Ahuja on innovation and leadership in HBR.org and has published articles in Business Week, Economic Times etc. Prasad is married to Dr. Vinoda and is father of Pravin (24) and Vidya (20). He enjoys exploring and reinterpreting ancient wisdom (and its application in developing highly effective and authentic leaders), photography (http://pkaipa.smugmug.com), listening to classical music, and playing tennis.